Tomato router… what is it? Well to start, a tomato router has nothing to do with tomatoes the food but has everything to do with routers, software and technology! Before we dive into the five best routers to run the tomato firmware, we will go ahead and give you a little background knowledge on what Tomato is and how it’s used. So what is a Tomato router? Now if you’re already a tomato expert and want to go ahead and see the top 5 best tomato routers you can find the list below, but if you’re looking to learn a bit about the tomato router life, we suggest you stick around. Now as well all know, our routers have backend software powering them, allowing them to efficiently run and granting users access to connect to the router administration panel itself. But lets be honest, not many people know how to connect to their routers main interface or ever even try to access the software page, as it may not be the easiest to reach. The issue is big telecoms such as AT&T and Verizon will ship you a stock router, tell you to plug it and and let it run. Now software is running on the backend, but telecoms don’t want you messing around with the settings and decide to lodge all this information deep into their informational packets, which we all know almost no one reads. So what is Tomato? Tomato is an open-source firmware for routers that can be installed on almost any routing device. The firmware can be installed on the device by flashing the router with the software, which can be risky if you don’t know what you’re doing. Essentially wiping the firmware and installing a completely new version of the router interface. Tomato firmware is an easy-to-use, lightweight firmware that runs on the back-end of the router allowing for seamless networking management. And our favorite part… it makes VPN integration a breeze! Meaning every time someone connects to your network, their device will automatically be secured by a VPN without any separate software or technology running on their device. Making it the perfect privacy tool for anyone wishing to secure multiple devices across the network. For the sake of the post, we will keep this short, but if you want to know all the amazing benefits of using a Tomato router, check out our everything you need to know about a Tomato router page (coming soon). If you’re looking for pre-flashed Tomato routers that work right out of the box, we recommend you take a look over at Flashrouters, they offer the #1 pre-flashed routers. All routers are 100% functional and working when they come out of the box, meaning your device should be plug and play! 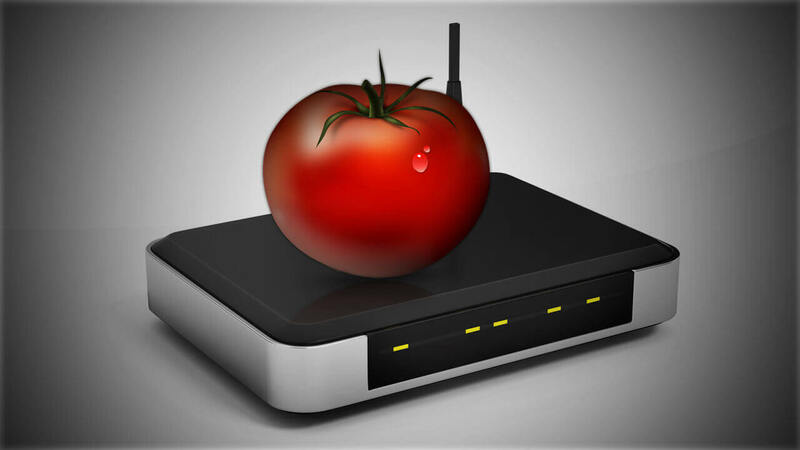 Now that we have a brief introduction on the greatness of the Tomato software, we will go ahead and list the 5 best routers to run the Tomato software on. All links will be directed to Flashrouters, the number one trusted provider in VPN routing and the only company we personally buy our home and business routers from. The Asus RT-N66U tomato router, our personal favorite and daily router! We personally own the Asus N66U from Flashrouters and have been actively using it as our main access point for well over a year now. The rock solid device is a powerhouse and can handle hours of intensive bandwidth sessions with zero hiccups, even when paired with a reliable VPN service. Technical specs on the Asus RT-N66U include a blazing fast 600 Mhz processor, 4 times the amount of Flash Memory/RAM than high-end industry standards, dual-band wireless speeds up to 900 mbps (450 Mbps + 450 Mbps) accompanied by two USB ports on the back. From personal experience we have had well-over 15+ devices active and running on the network while the device handled it flawlessly, effectively managing bandwidth, and it’s dual-band technology allows for any device to connect and run. When we received our router it was out-of-the-box plug and play, we then went ahead and added our VPN to the router and were set. If you don’t understand all the technical mumbo jumbo, to put it simple, this device is a powerhouse and a one time investment that you won’t regret! This device is a must have for any bandwidth hog looking for a fast and reliable Tomato router. 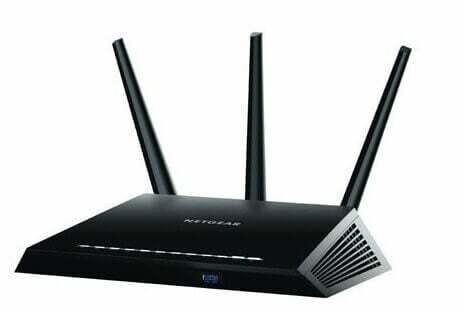 The Netgear R7000 AC1900 Nighthawk… what more can we say? The design speaks for itself! 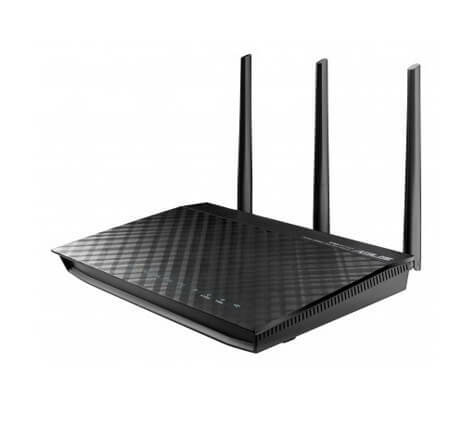 Netgear’s R7000 AC1900 Nighthawk router is a networking centerpiece and the future of Wifi! The R700 comes packed with a blazing fast dual core 1 GHz (1000 MHz) processor, one of fastest dual core routers offered with Tomato support. All this is accompanied by 256MB of RAM, 128 MB of active flash memory with a USB 3.0 and another USB 2.0 port, with high-powered antennas. The R700 comes packed with some of the fastest home routing speeds available, capping at 1900 Mbps Wireless-AC (450 2.4 Mbps & 1450 5.0 Mbps). The R700 is an absolute monster! Not only does this Cadillac of routers contain all the great hardware aspects, it has a high-end version of Tomato installed, making the device even more powerful on the software side. With the high-end Tomato build you can separate VPN connections, force certain sites to go through a VPN, have the VPN deactivate on certain sites among a variety of other great features standard Tomato doesn’t get. And you’ll only get this on the Netgear R7000 AC1900 Nighthawk due to its hardware specs. The nighthawk is a must-have for network enthusiast’s or individuals with amass of new-age devices they wish to connect to the network (Xbox One, Smart TV’s or even old technology). The Nighthawk is the definition of a powerhouse and not for the feint of heart. 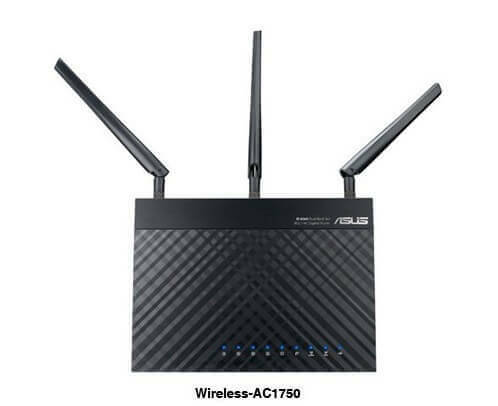 The Asus RT-AC66U AC1750 is just a step up from it’s predecessor we listed above, the RT-N66U. Accompanied by all the great features as the N66U the AC66U contains extremely powerful technology along with the ability to easily tweak and schedule maintenance on the router. The router is so powerful its processing power caps at 1750 Mbps total (450 2.4 GHz & 1300 5 Ghz) utilizing three powerful antennas to push all the data through. If you’re looking for a bit more power than the N66U, the AC66U has definitely got you covered! If you’re looking for a router with decent power at a fraction of the cost, the Asus RT-N16 is for you. 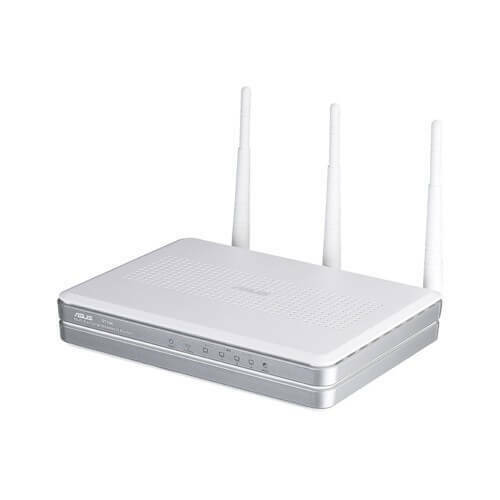 The N16 is a powerful single band router with a speed cap at 300Mbps accompanied by its 480 MHz processor. While the RT-N16 may not provide you with nearly as much power as its competitors listed above, the N16 is optimal for a home without a sizable amount of active devices. While yes this router can handle power, it may not have the necessary power to fulfill several active devices while trying to serve bandwidth equally across the line. However, at its fair price point the router can still handle long hours of streaming and HD content. The RT16 is a powerful little device that can serve a multitude of devices at one time for a fraction of the cost! 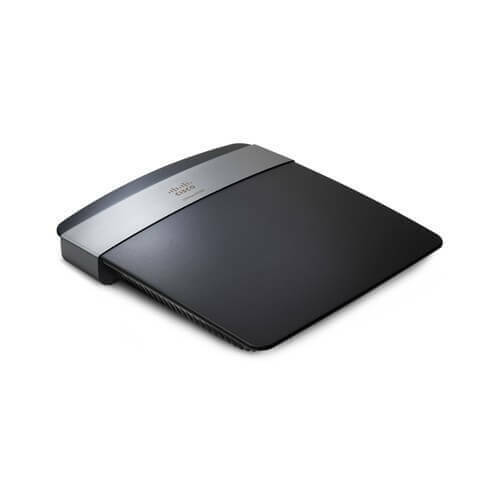 While it may not be the most appealing router, the Cisco Linksys E2500 is the economy powerhouse when looking for routers at around the $100 range. While to E2500 doesn’t contain all the bells and whistles as the monsters above, it is a great economy router for streaming in HD and handling a couple devices at one time. As the router is a bit smaller its speeds cap at around (300 2.4 GHz & 300 5 Ghz). The E2500 may not be the most appealing, but for its price and speed it puts this router as the #1 economy VPN router. Again, this little thing will be far more powerful than any current stock router from big telecoms, remember that! Due to its small and compact size, the device is great for a couple device home not looking for too much. No matter what type of router you’re looking for, the Tomato firmware has always got you covered. While it’s completely free and open-source, the firmware is easy-to-use and has tons of little hacks and tricks due to its open-source nature. Even if you’re not a techie, the Tomato firmware is far more secure than a majority of stock firmware on the market today. We highly recommend grabbing a pre-flashed Tomato router as that will be your safest option, as sometimes complications occur during the flashing process that could leave the entire router dead. But you don’t have to worry about that with Flashrouters as they are pre-flashed and ensured to work before they are shipped out the door. Whether you’re looking for a powerhouse or just a nice home router, you can’t go wrong with Tomato. The firmware is extremely easy to use and totally flexible, even for the non-technical savvy! How do these routers compare with Apples time machine in terms of security? Personally I have never owned or tinkered with an Apple Time Machine nor do I know their level of security. Let me do a little research and get back to you in a couple of days on this. where would i get the version of tomato that you mention is on the Netgear R7000 AC1900 Nighthawk and what version build is it as well please? Hey Joe, due to the router being so powerful, it’s actually its own special build. Hope that helps! Hey Joe, this version of Tomato is only built into the R7000 because it has such a powerful hardware. Hope that helps! How about the netgear r8000? Hey Josh thanks for the mention. We’ve never given the r8000 a try, have you had any experience with it? Cheers! Hi, Do you know if Tomato works on Asus RT-AC5300 ? Thanks!